Plastic fishing nets and other items of rubbish are causing serious injuries to seals in Norfolk. A community group from Norfolk says that 2018 has been “worse than any other” year for seal injuries caused by rubbish. The Friends of Horsey Seals tracks a seal colony in Norfolk and told BBC News that at least 10 animals currently have nets stuck to them or plastic rubbish tangled around their necks. The RSPCA also revealed to BBC News that it had treated and released six grey seals from Norfolk so far this year - the highest figure ever reported by the charity. Alison Charles, manager of the RSPCA's East Winch Wildlife Centre said: “It’s horrifying. 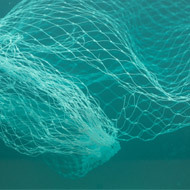 They are inquisitive, so they get caught in nets from fishing trawlers and the single nylon lines used in mackerel fishing, and Frisbees - just all the rubbish that's out there. "I've even seen a seal with a bikini around its neck. As they get larger and larger, it cuts through the skin and they get an infection. They cannot extend their neck, so they cannot fish." Some of the many injuries reported by The Friends of Horsey Seals include a young adult male that suffered “horrendous” injuries when it found itself caught up in plastic netting. In September 2017, a seal was also left with serious injuries after it got its head stuck in a frisbee. Volunteer David Wyse said the seals had to be weakened by infection and isolated on the beach before they could be helped. "Another problem is the females are about to give birth and any serious disturbance to the group could result in miscarriages," he told BBC News.